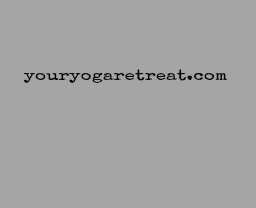 Surf and Yoga Retreats are listed below! Find your perfect one with a wide variety of prices and locations! A great way to balance rest and relaxation with adventure and activity. All of these retreats cater to either a beginner or advanced surfer and yogi. Surfing is definitely a great way to meet some new interesting friends too! Go here if you're looking for: a small group, warm friendly hosts and guests, close to airport, yet peaceful. Go here if you're looking for: A retreat that has it all!! SUP, surfing, life coaching & excursions. Go here if you're looking for: Mostly women only but with a few coed dates, 5 star beachfront. Go here if you're looking for: Higher end accommodations, SUP classes in addition to surfing. Go here if you're looking for: Luxury, women only, spa retreats, lots of included extras. Go here if you're looking for: Women only, a purpose built retreat center with at least 10 yrs experience. Go here if you're looking for: an active place with tonnes of stairs, eco living and mostly off grid. Go here if you're looking for: A beautiful setting, beginner friendly yoga, great surf instruction. Go here if you're looking for: Good instruction but little bit bigger classes, warm hosts, average rooms. - warm clothes for the evening- many of these locations cool down with a nice breeze off the ocean at night. - a relaxed and fun attitude! - Do you need a travel visa? If you're not sure FIND OUT! Here's a quick link to see which countries do and which ones don't https://www.visahq.ca/visas.php but I strongly urge you to research it on your own. Or talk to a travel agent. 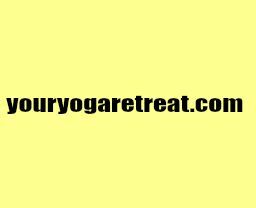 - What is the surf and yoga retreats cancellation policy? I know you don't think you'll cancel because you can't wait to go, but you never know what can come up at the last minute. Before you book ask and make sure you comfortable with it. Be wary of a no refunds at all policy! Usually retreats with have a structured program where the closer you get to the date the less you get back.